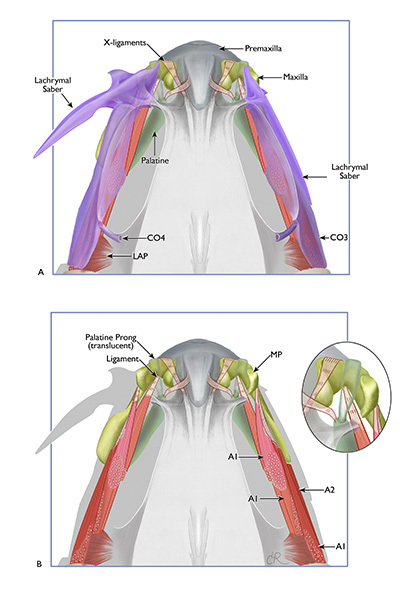 A favorite project featuring these anatomical illustrations of fish cheeks was published in January 2018; one of these illustrations was chosen for the cover of the printed publication. 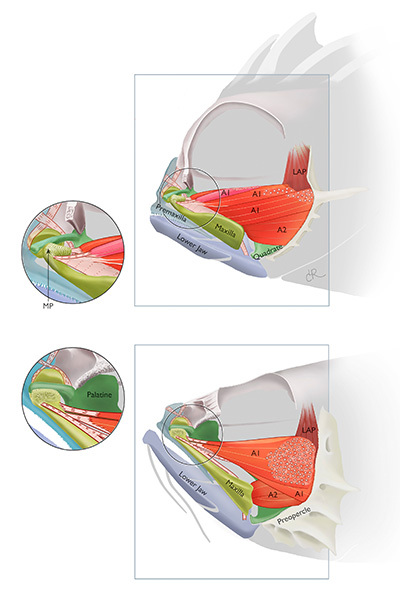 The anatomical research proceeded by drawing what I could see, consulting with Dr. Smith who would then do a new dissection, I would modify the drawings, we would consult again and so on. In this way our understanding grew, shape by shape.